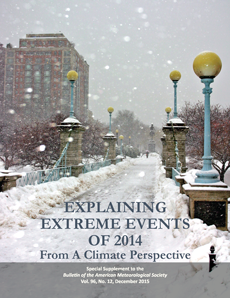 Human-induced climate change plays a clear and significant role in some extreme weather events but understanding the other risks at a local level is also important, highlights Bulletin of the American Meteorological Society’s annual special report, Explaining Extreme Events of 2014 from a Climate Perspective. For the fourth year in a row it investigates the causes of a wide variety of extreme weather and climate events from around the world, including eight studies using weather@home simulations. Researchers from the core CPDN teams in Oxford and Melbourne teamed up with collaborators around the globe. They examined serious droughts in Brazil, East Africa and the eastern Mediterranean, heat and cold waves in Argentina and Australia, and extreme rainfall in New Zealand. There was a clear influence of human-induced climate change in the temperature driven extreme events, the heavy rainfall in New Zealand and on the failing rains in the Levant region. However, a fingerprint of human activity was not detected in the in the other two droughts. In those cases, other causes of water shortages came into play due to local factors, such as increased water demand, population growth or methods used for irrigating the crops. These eight papers looking at extreme events in 2014 show just how much global warming has become a part of todays climate. The also highlight that the field called extreme event attribution, which looks for the fingerprints of human-caused warming in extreme weather events, has made considerable advances over the past years. The goal of extreme event attribution science is to provide this evidence and thanks to our dedicated volunteers we are in a unique position to provide the necessary modelling framework to look into the changing statistics of rare and unprecedented events. An increase in extreme heat events around the globe is observed and expected to be one of the first apparent symptoms of global warming. This increase can be quantified thanks to the very large ensembles created by CPDN volunteers. Research led by Dr Andrew King from Melbourne University found as a result of global warming the 34°C temperature of the first day of the Brisbane G20 World Leaders Forum was 25% more likely because of global warming and 38°C November days are now 44% more likely than in a world without human-induced climate change. Investigations into the January heatwave that struck the Australian Open and Adelaide were less clear. While climate change likely played a role in the four days above 41°C that plagued the hard courts of Melbourne Park, there is a small chance that it was due to natural variability alone. 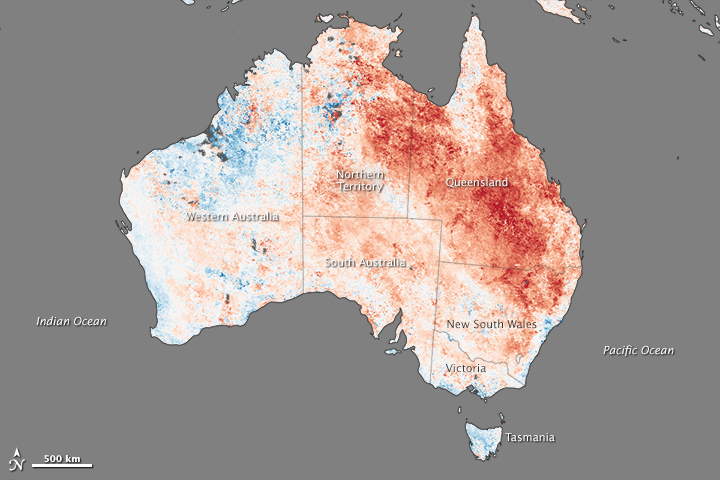 For the heatwave with five consecutive days above 42°C at Adelaide, lead author Mitchell Black, also from the University of Melbourne found climate change had increased the odds of that event by 16%. A clearer signal found Dr Alexis Hannart from Buenos Aires in collaboration with CPDN’s Friederike Otto looking at the severe Argentinan heatwave in December 2013 and found a five times increase in the likelihood of such an event occurring in a warming world. Climate change can also turn down the thermostat as a team led by Dr Michael Grose from CISRO in Tasmania in collaboration with CPDN’s David Karoly and Mitchell Black discovered when they examined an unusual high surface pressure anomaly off the south coast of Australia in August 2014. This pressure system drove cold air into southeast Australia that led to severe late-season frosts across the area with snow falling down to 200m altitude in Tasmania. The research team found climate change doubled the likelihood of such a high pressure system forming. Staying on the Southern Hemisphere, a research team led by Sue Rosier, looked at extreme precipitation over the North Island of New Zealand that led to severe flooding in July 2014. They found that although still a rare event, such heavy rainfall is now expected roughly once in 200 years while it would only have been a 1 in 350 year event in a world without global warming. The second study focusing on rainfall, was led by CPDN partner Karim Bergaoui from International Center for Biosaline Agriculture (ICBA), Dubai. This focussed on the lack of rainfall in the Levant region in 2014 during a time that would normally have been the rainy season, and found human-induced climate change did increase the risk of such a severe and unprecedented drought by around 45%. Studying the severe drought in São Paulo, the largest city in South America with a population of about 20 million, a team led by Friederike Otto found that human-induced climate change was not a major influence. The researchers examined the drought in terms of lack of rainfall, water availability, and water demand. They found the consequences of the drought – which included temporary water shut-offs, a spike in dengue fever cases, and higher electricity prices – were a result of low water availability combined with the numbers of people involved and damage to the infrastructure system. 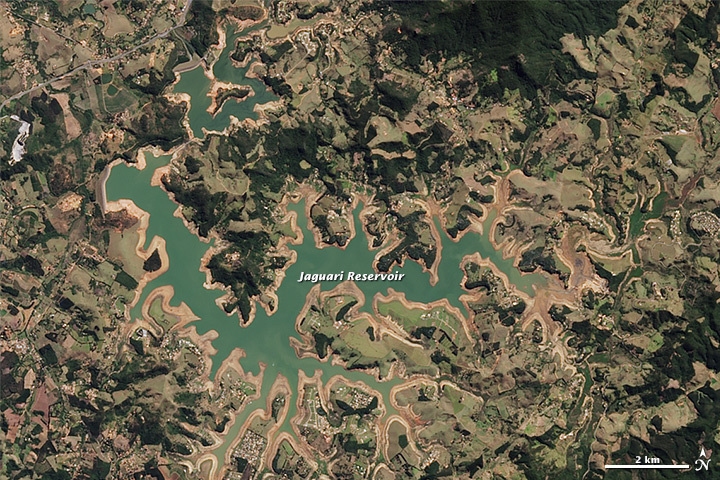 They also concluded that the lack of rainfall in southeast Brazil in 2014 and 2015 while unusual was not unprecedented, with similar dry periods occurring before, with the most recent in 2001. The second Oxford-led drought study was by Dr Toby Marthews with CPDN’s Dann Mitchell, which focused on the Horn of Africa. They found no influence of human-induced climate change in the lack of rain that year. The researchers did find, however, that human-induced climate change led to higher temperatures and incoming radiation, which made the population more vulnerable in drought events.